The Ubumwe Community Center Was founded by two young people, Frederick Ndabaramiye and Zacharie Dusingizimana, with the aim of supporting people with support needs, some of whom lost their parents and family members during the genocide in Rwanda, and creating a school for children, as well as residential, therapeutic and work situations for adolescents and adults. Frederick Ndabaramiye himself survived the atrocities of this civil war in the 1990s badly injured (he lost both hands). Both founders – as well as their employees – are engaged with extraordinary commitment and have already realized a very considerable social project, which forms a cultural center for these children and their families. Many training and therapeutic supports are offered to children and families. With only a small amount of resources, innovative, sustainable and promising visions are implemented and realized here. At the express request of the staff of the Umbumwe Community Center, the project of further training in several modules is carried out. The anthroposophical curative education method – based on Rudolf Steiner’s approach – is taught there. In cooperation with colleagues from the international training network, we want to carry out this training – with the aim of enabling a sustainable contribution to the development of anthroposophical curative education in Rwanda. Two visits, combined with consultations, as well as a first module of training have already taken place. Three colleagues from Rwanda were able to attend the international conference of the Council in Switzerland in October 2018 and thus received international interest and support. In April of this year, Natascha Hermann from the Karl Schubert School in Austria will visit the Ubumwe Center in Gisenyi and carry out a survey and further planning of the training together with local colleagues. We then want to create a curriculum together for the next 4 years. This curriculum will be the basis for a training that should consist of theory, art and practice. The colleagues from the Ubumwe Center were invited to participate in the conference of the International Communal Studies Association (July 18-21, 2019, at the Camphill Communities near Hudson, NY, USA). Natascha Hermann will prepare this presentation with her colleagues from Rwanda and accompany them there. 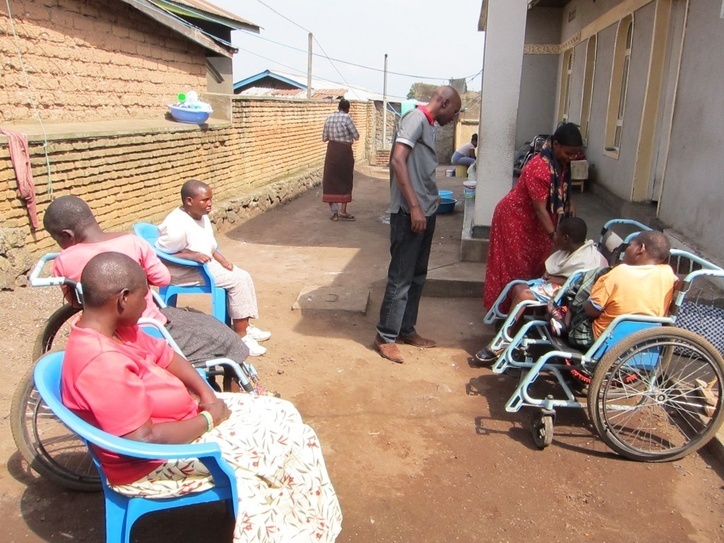 In this context, colleagues from Rwanda will have the opportunity to present their organisation and describe how inclusion work is being carried out there. If you would like to support the development of training in Rwanda, we cordially invite you to do so through the crowdfunding campaign set up for this purpose. If you have any questions, please contact Michael Mullan.